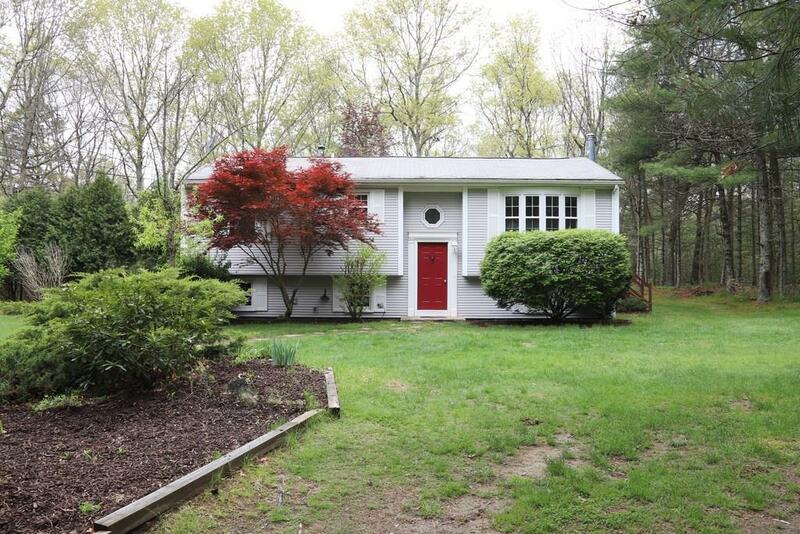 A lovely serene spot on over 2 acres surrounded by private wooded acreage. This home has a new roof and updated systems, which includes central air conditioning, and a large updated family room with new carpeting on lower level with a wood stove. Cathedral ceiling and open living room and dining flow nicely into the kitchen allowing for a ease of living. Three good sized bedrooms, and tiled bath. 2 out buildings, a workshop/garden shed. Septic and well testing completed and passed. Quiet area, great schools. Animals allowed.